Police are appealing for witnesses following an assault in Mansfield at the weekend. The incident happened just after 4pm on Sunday, near the sewage works in Mansfield Road. A 55-year-old man had left the Trinity Bar nearby and was walking home when he was approached from behind. He turned round and saw two figures standing behind him and was thereafter assaulted. The victim was treated at Borders General Hospital for cuts to his upper body. 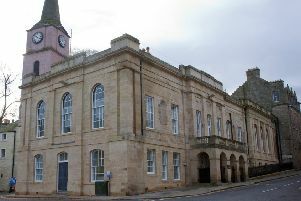 Constable James Watt, Hawick Police Station, said: “We believe the victim may have been knocked unconscious briefly and while he required treatment at hospital for some facial wounds, he was thankfully not seriously injured. Those with information should contact police on 101 or Crimestoppers on 0800 555111.